When it comes to putting your iPhone into a great looking, great feeling case, there are few better than Apple’s own leather case. In fact, there are few that can come close to being able to offer the same experience that snapping on Apple’s leather case can, but there’s always been one problem – Apple’s case costs a small fortune, comparatively, and that’s just not going to cut it for a lot of people. At $49, the Apple Leather Case might be the best case around, but it’s too costly for many. What we need is a competitor, perhaps one that ticks nine out of ten boxes but costs a fraction of the price. 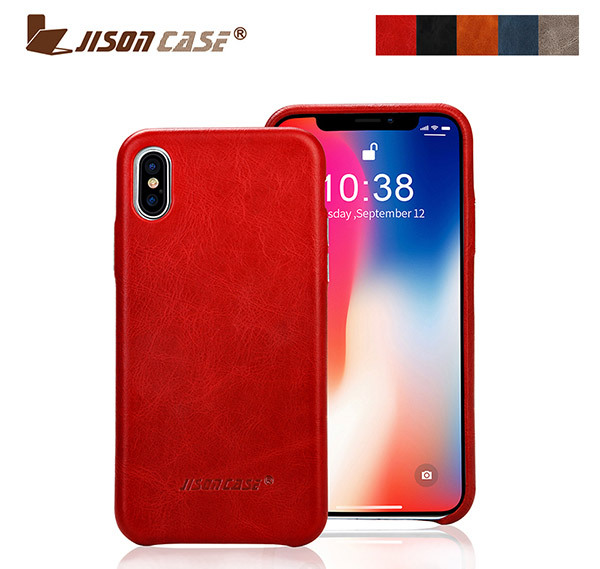 Like, maybe, the Jisoncase Vintage Genuine Leather Slim Case for iPhone XS and iPhone X. Huge name aside, the Jisoncase offering does manage to tick nine of those ten boxes, and it does indeed cost a fraction of what you’re expected to hand over to Apple. Is it as great? Not quite, but it does get much closer than you might expect for the $22 asking price. Out of the box, the Jisoncase leather case feels noticeably smoother than the Apple case, but having now used the case for a few weeks I can confirm that does subside, with the smooth, shiny surface giving way to something that feels much more akin to the official case. It does feel thinner, more flimsy, and it certainly flexes more when twisted. There’s a little more play in the case, too, something that you immediately notice when putting the case on or taking it back off. If you’ve ever done battle with the Apple Leather Case, you’ll know what I mean here. The Jisoncase case doesn’t feel like it fits quite so snugly once on, but it’s certainly not going to fall off, either. Once installed, everything looks and works as it should. I have the red case here, and it’s suitably vibrant. You won’t go missing in a crowd with this thing on, that’s for sure, and that’s further accentuated by the bright silver volume up and down buttons on the side. The Mute rocker is left exposed, just as it should be, and the volume buttons feel nice and clicky, which is a relief. Inexpensive, or downright cheap cases often get that wrong, but not here. There isn’t a great deal to say when reviewing an iPhone case, and the main points to consider are whether it looks good, whether it feels good, and whether it would protect the enclosed device should it take a spill. The answer to all of these is a resounding yes with the Jisoncase Leather Case, and that’s really all you need to know. The only knock I have against it is the fact it does feel a little looser than the official Apple case, but then again, if I didn’t have one to hand to test, I might not have noticed that, either. All in all, especially at less than half price, I’m confident in recommending this case. 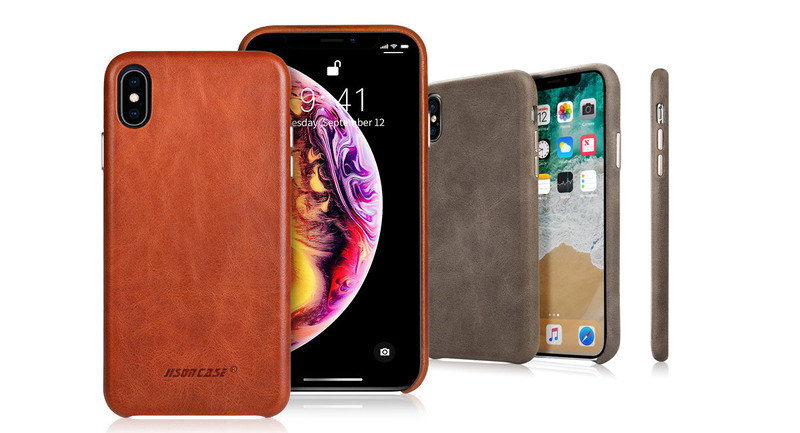 If you’re looking to get your hands on a leather case and don’t want to splurge on Apple’s, this is a great alternative. I like the red I’ve been using, but with plenty more to choose from – most less garish than this – I’m sure you’ll find one to suit your personal taste.